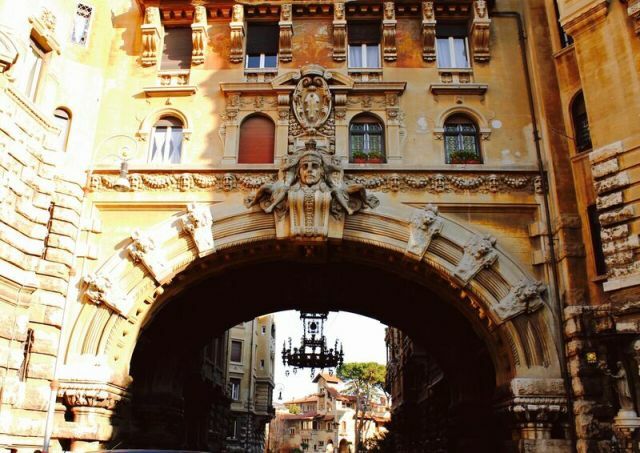 Walking along Corso Trieste in Rome, not everyone may notice the huge arch that joins two buildings on Via Tagliamento marking the main entrance to Quartiere Coppedè, one of the most surreal, fairy-tale districts in the eternal city. This area cannot be categorised by its style, as it embraces and combines many different styles, even in the same building. Visitors are left speechless by the particular characteristics that typify the district and make it impossible to classify or define. Fairy-tale is perhaps the only adjective that can really describe this complex of 26 buildings and 17 villas; when you enter it, it’s like stepping into another world. 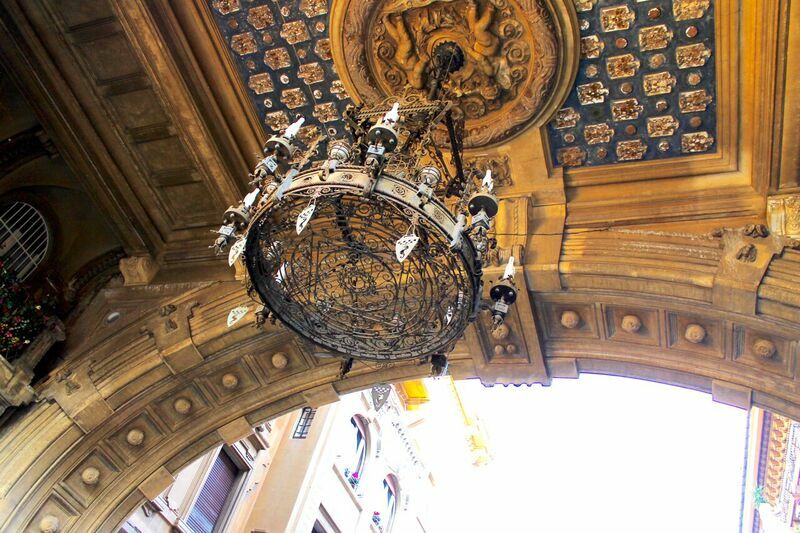 A wrought iron chandelier hangs from the ornately decorated arch, inviting passers-by to enter and make their way to Piazza Mincio, the district’s central square, which you can glimpse from afar. 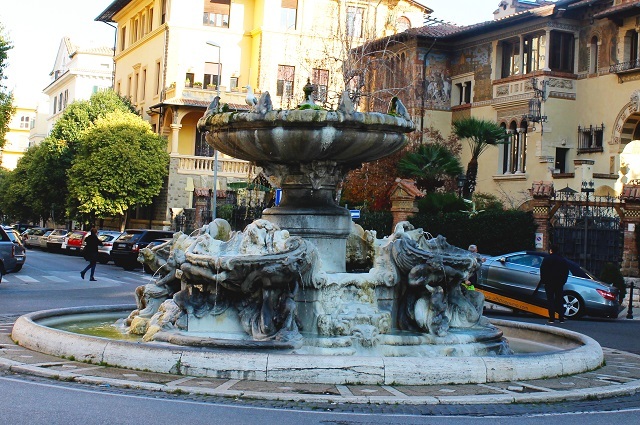 At the centre of the square is the Fountain of the Frogs (Fontana delle Rane), adorned with several sculptural forms supporting a large shell on which a frog is sitting. An urban myth claims that in 1965 the Beatles took a dip in this fountain after spending a night at the Piper, one of the city’s famous nightclubs. 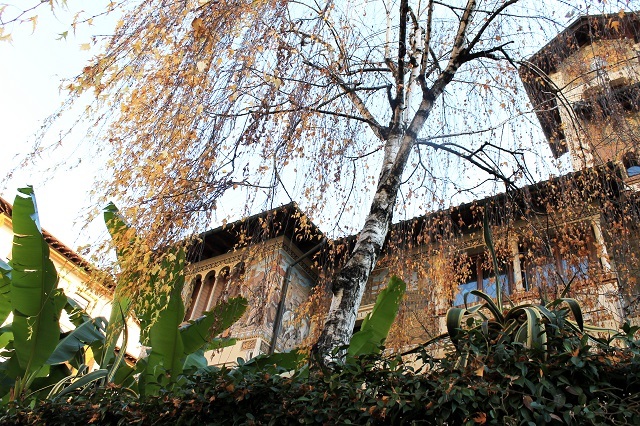 Piazza Mincio is the true heart of the district, offering a glimpse of the area’s unique charm. 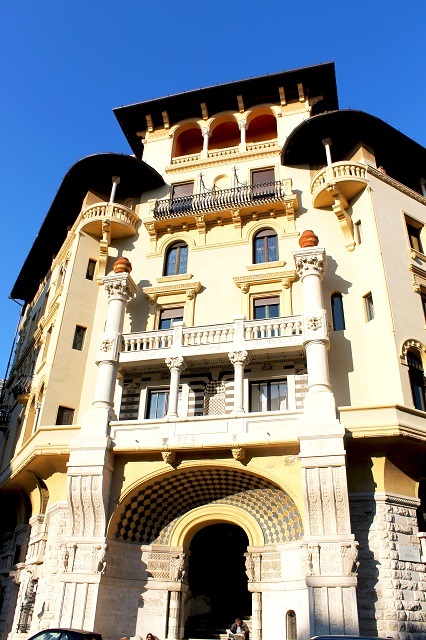 The first building that catches the eye is Villino delle Fate, an enormous building made from many different materials (marble, terracotta, glass, travertine, etc. ), with images of figures from mediaeval times painted on the front including the great Italian poets Dante and Petrarch. 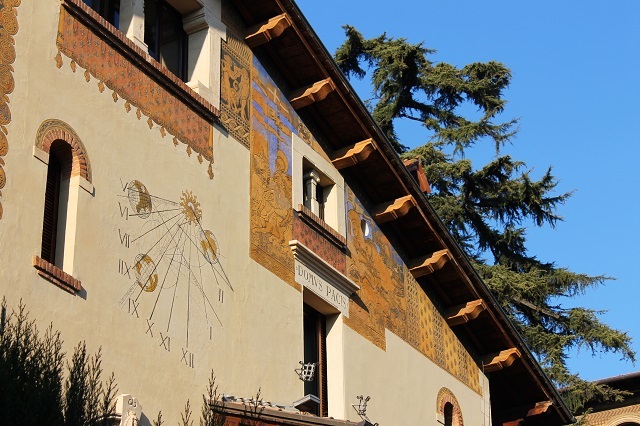 The phrase “Florence, you are beautiful” appears at the centre of the building, referring to the Italian city where both poets were born. 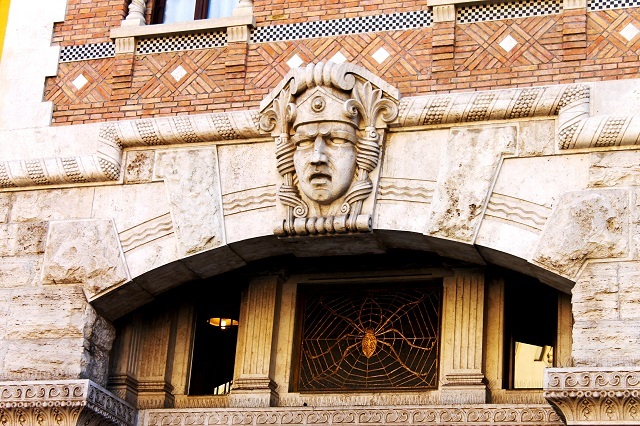 Then there’s Palazzina del Ragno (Spider’s Palace), which evokes the architectural style of the Assyrians and Babylonians and takes its name from the enormous spider design on the front of the building. 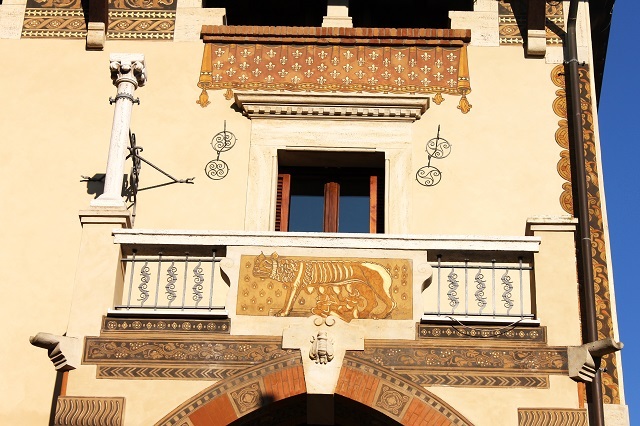 The décor of the Moroccan Embassy is reminiscent of the country the building represents, while visitors who climb the steps of the building opposite Villino delle Fate will want to stop and admire the images painted on the ceiling and walls. 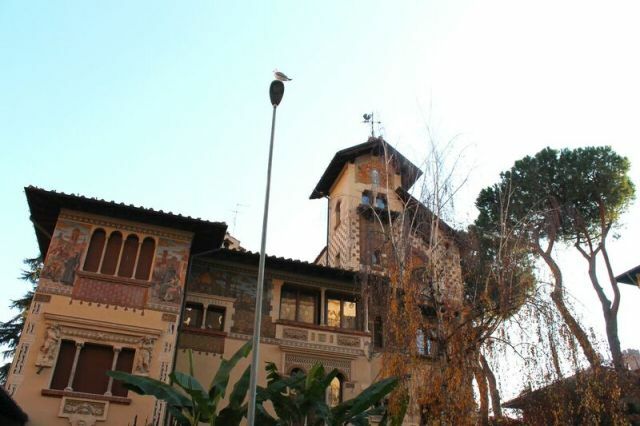 It is this fairy-tale variety that makes this district unique: each part offering different and fascinating décors and images. The surreal scenery in this area has also inspired many movie directors: Dario Argento chose it as the location for two of his films, “Inferno” and “The Bird with the Crystal Plumage”. 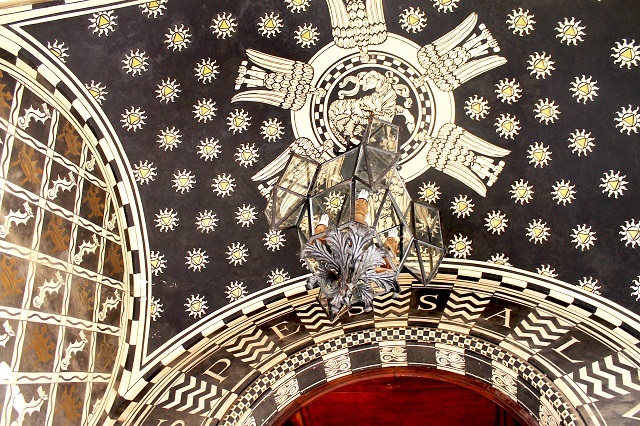 Visitors entering the district of Coppedè are immersed in a different Rome, which even delights the city’s residents. Anyone walking through this district will feel a mix of awe and disorientation, where every building draws you in and forces you to stop and admire it. The surprising thing is that you discover something new every time you go back! Claudia Tarquini is a Master’s student in communication and digital media. Living in Milan, she originally comes from Rome. She loves culture, reading and photography. 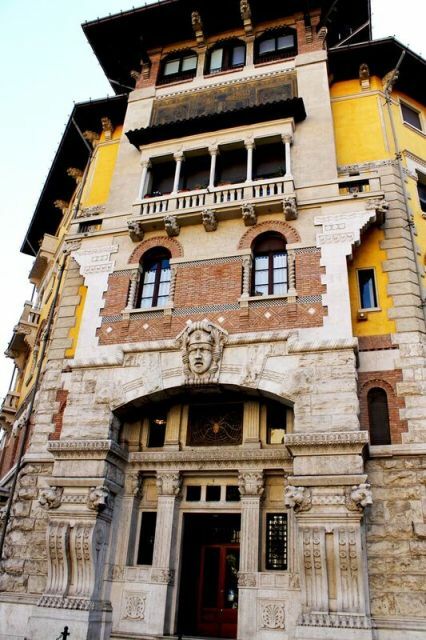 Concierge tip: Do you want to immerse yourself in the best art and museums during your next visit to Rome? 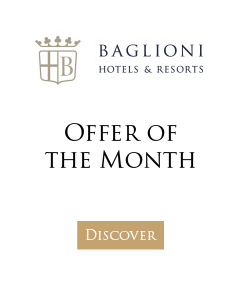 We suggest you check out our concierge guide to Rome’s top destinations for art lovers, all easy to access for guests at Baglioni Hotel Regina.